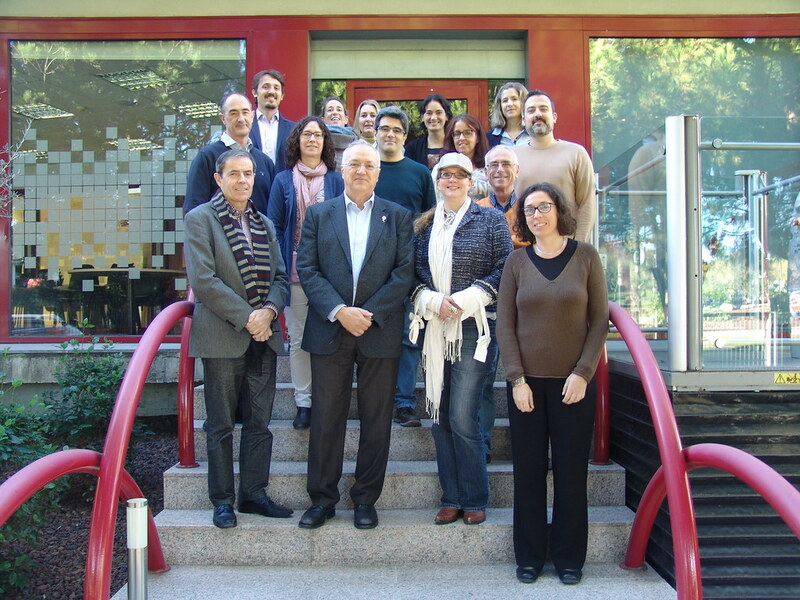 Representatives from CSIC and Spanish Research State Agency were also invited to the meeting. The SAB is composed of 12 worldwide scientific authorities in the areas of the targeted research of our Severo Ochoa project: Functional Materials for 1) Clean Energy, 2) Smart and Sustainable Electronics and 3) Smart Nanomedicine. The afternoon counted with a poster session (with 30 posters in total) of the two evaluated research lines, and a visit to our new facilities and laboratories. The SAB members had the chance to interact with our researchers, students and staff members during the poster session and installations visit. Additional private meetings took place during the rest of the first day, and during the second day, which also included a presentation by ICMAB's Director on technical and economical aspects of the Severo Ochoa FUNMAT project. In last year's visit, the SAB members emphasized the friendly atmosphere of the Institute and the quality of the scientific research being carried out, in particular the enthusiasm showed by young researchers. In addition, they appreciated the excellent gender balance of the Institute, and encouraged ICMAB to keep working on this direction. This year, apart from that, they expressed great satisfaction for the development of the Center, for the enthusiasm of its people, and for the quality and interest of the scientific work. They also highlighted the many collaborations between research groups and research lines (in terms of joint publications), the communication and outreach activities of the Institute, the organization of events and meetings, and they encouraged us to enhance the technology transfer in terms of agreements, patents and spin offs. Next year, the SAB will evaluate the three remaining research lines: RL2: Superconductors for power applications; RL4: Molecular electronics, and RL5: Multifunctional Nanostructured Biomaterials.